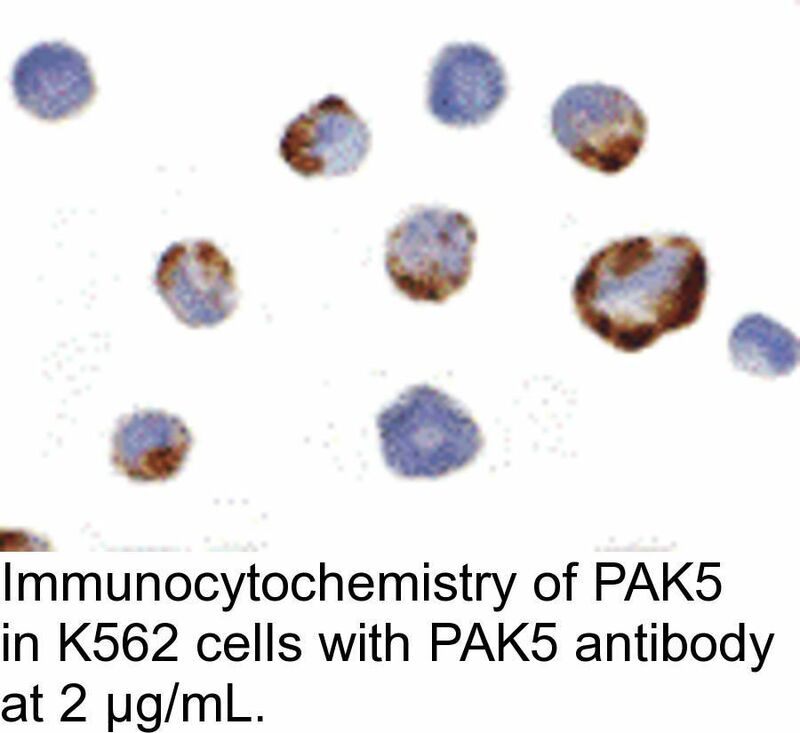 PAK5 Antibody: The p21-activated kinases (PAKs) are serine-threonine kinases that bind to the active forms of Cdc42 and Rac. 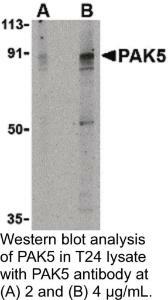 They are divided into two groups, the first of which include PAK1, 2 and 3, and can be activated by Cdc42/Rac binding. Group 1 PAKs contain an autoinhibitory domain whose activity is regulated by Cdc42/Rac binding. The group 1 PAKs are known to be involved in cellular processes such as gene transcription, apoptosis, and cell morphology and motility. Much less is known about the second group, which includes PAK4, 5 and 6. 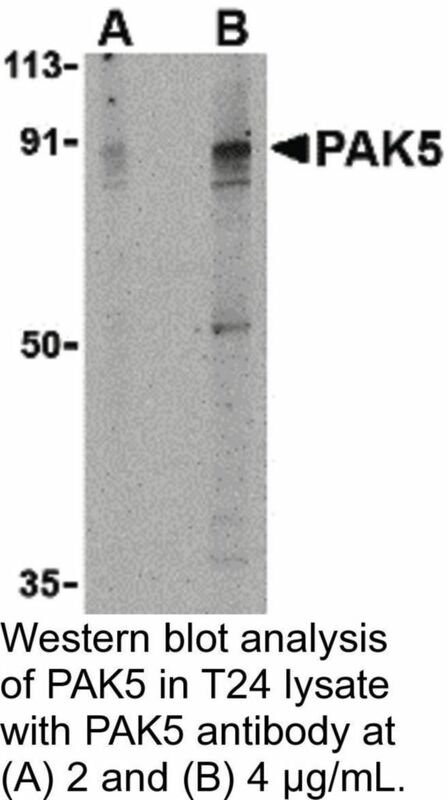 These proteins are not activated by Cdc42/Rac binding. 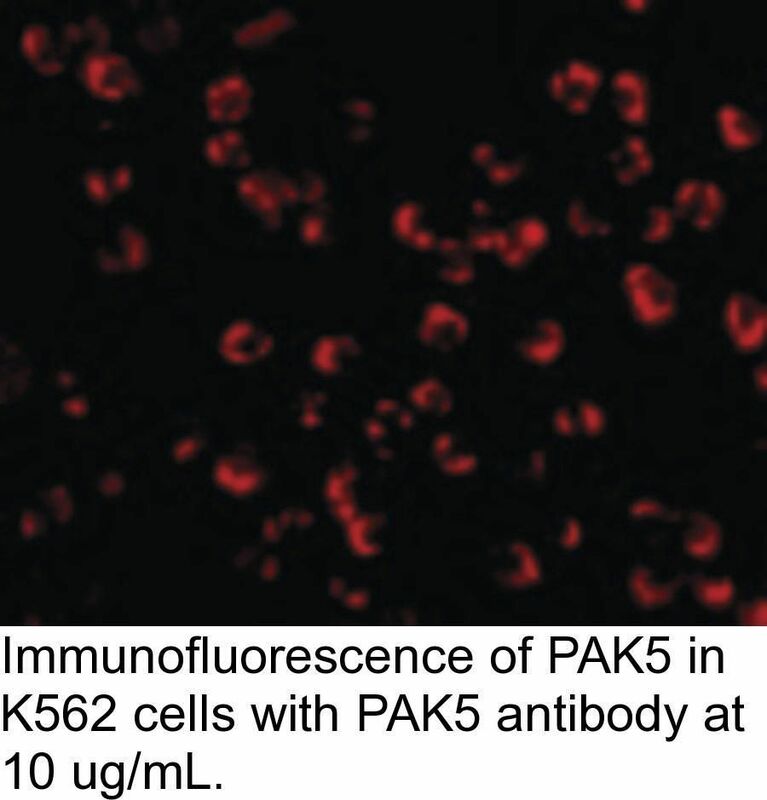 PAK5 was initially identified as a kinase expressed primarily in brain that while possessing a kinase domain and GTPase binding domain similar to PAK4 and PAK6, is completely different from both. 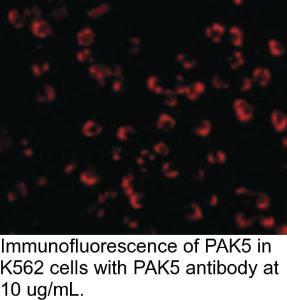 Expression of PAK5 in neural based cell lines resulted in neurite outgrowth suggesting that PAK5 may be involved in regulating the cytoskeletal changes necessary for promoting neurite outgrowth. 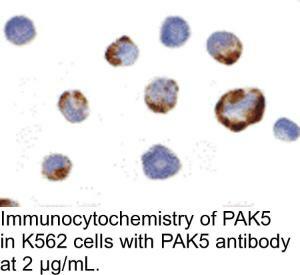 Other experiments suggest that unlike the other PAKs, PAK5 may inhibit apoptosis by phosphorylating the Bcl-2 family member Bad.